The Little Albion Guest House, which officially opened its doors today, has joined forces with Airbnb to be the first hotel available for booking as a single listing on the global travel platform. 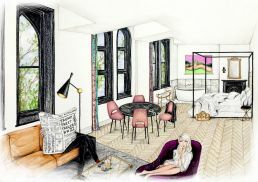 The luxurious new 35-room guest house is located in the hip Sydney suburb of Surry Hills and from today will be available to be booked in its entirety priced from $15,000 and as individual rooms (airbnb.com.au/littlealbion). Delightfully intimate, devastatingly gorgeous, genuinely original and refreshingly unpretentious, Little Albion is the embodiment of the local guest house experience reimagined for the modern luxury traveller. Designed and developed by pioneers of the boutique hotel category 8HOTELS and Builder / Designer Connie Alessi. The concept came about after researching hotels through the ages. From the very first kind, the ryokan (a traditional Japanese inn dating back to the eighth century AD) to the modern big box hotels of the 80’s, followed by the explosion of boutique offerings and finally through to the innovation of the game-changing Airbnb platform. 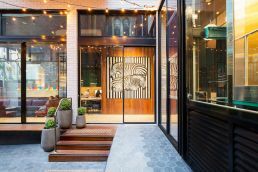 From here, they saw a clear evolution of the consumer journey and landed squarely on what both corporate and leisure guests genuinely want from their ‘home away from home’ – the luxury and comfort of a hotel teamed with the ease and familiarity of an Airbnb. 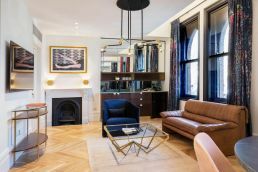 Earlier this year, Airbnb announced the introduction of new searchable property types on the platform, including B&Bs and boutique hotels, aimed at bringing the benefits of local and authentic travel to everyone. This partnership forms part of Airbnb’s roadmap and is aimed bringing the transformative benefits of local, personal and authentic travel to every type of traveller. 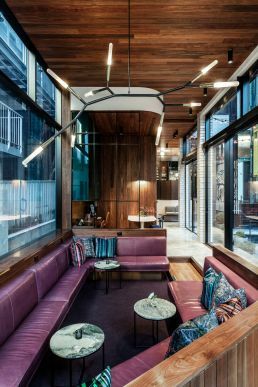 In line with Airbnb’s vision of belonging anywhere and giving guests the opportunity to live like a local, Little Albion Guest House will have a dedicated team of hosts led by boutique hotel guru and Surry Hills resident, Wendy Morris, who will be on hand around the clock to offer individualised service. 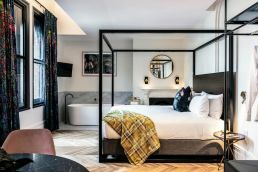 Boasting an enviable art collection, impeccable interiors and bespoke finishing, many designed and crafted by the hoteliers themselves, Little Albion is a design lover’s dream. The guest house will also feature an honour bar stocked with top shelf beverages and gourmet nibbles where guests are encouraged to help themselves as they would at home. 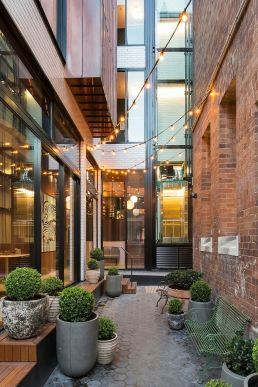 Head to the rooftop and discover a stunning garden oasis with alfresco seating, outdoor shower and northerly aspect with views over Surry Hills and the city of Sydney.